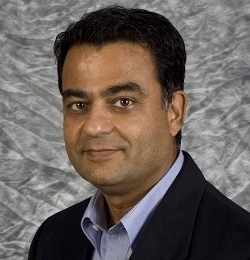 Ajay Kumar most recently was the CEO of a consumer electronics internet retailer, Monoprice.com. While at Monoprice, he increased sales from $80 million to $150 million and successfully sold the company for $180 million. Previous to Monoprice, he had significant experience in consumer electronics in executive roles with Targus, Belkin, AT&T Wireless and Circuit City Stores to optimize global supply chains and facilitate the sourcing and development of products in Asia. Prior to these roles, he held senior positions with Accenture and CSC Consulting, where he advised Fortune 1000 companies on how to significantly improve their end-to-end supply chains while enhancing customer service. He started his career as a chemical engineer with Wisconsin Electric Power and as a financial analyst with IBM. He graduated from the University of Wisconsin-Madison where he received a bachelor's degree in chemical engineering, and from Carnegie Mellon University where he earned his MBA with distinction. ​Interests: Running, Triathlons, mountaineering, scuba diving, stock market, traveling, and spending time with family.